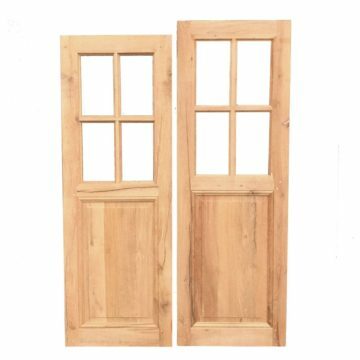 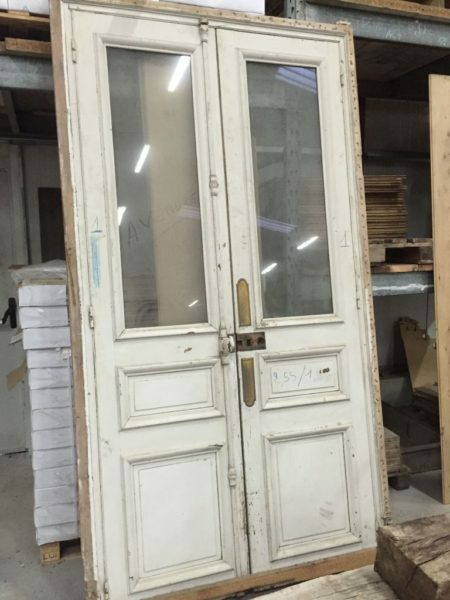 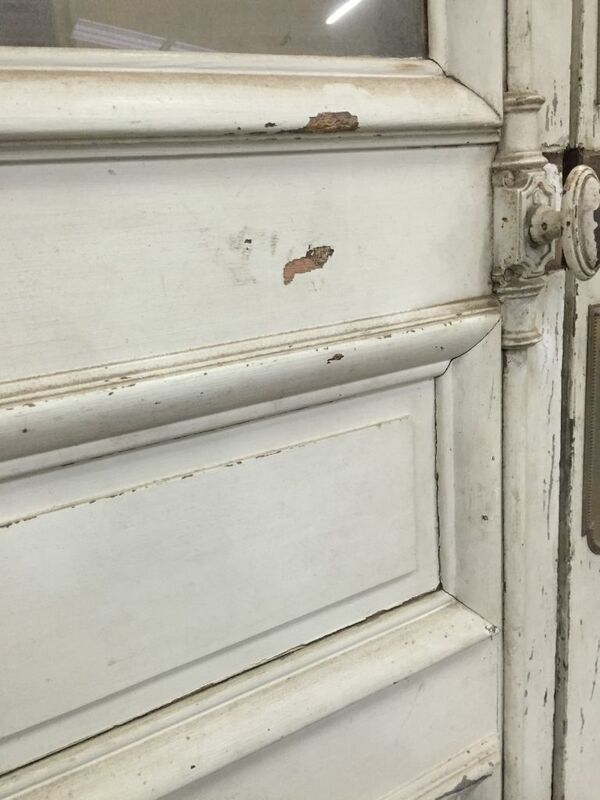 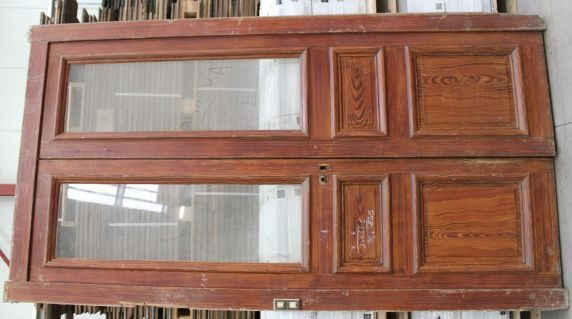 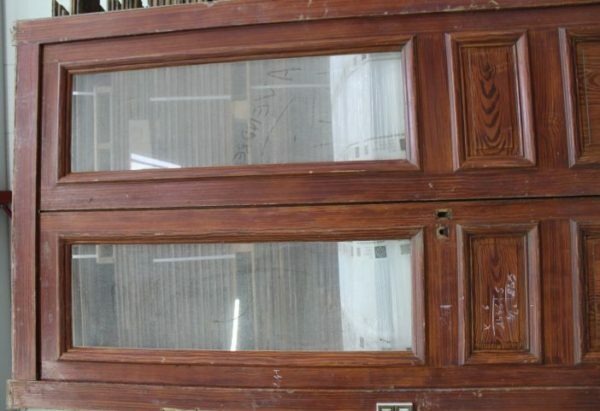 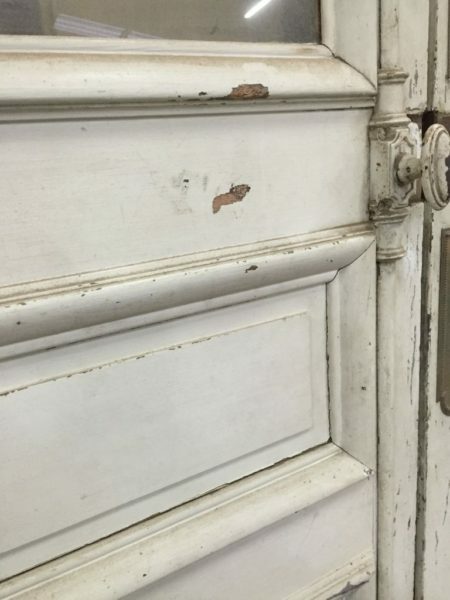 Antique French double interior doors : A single pair of French double interior doors with classic raised and fielded panels and deep moldings in the Paris Haussmann style, presumed late 19th century. This pair is on display at BCA’s premises at l’Hotellerie-de-Flée (49500) in the Maine & Loire département. 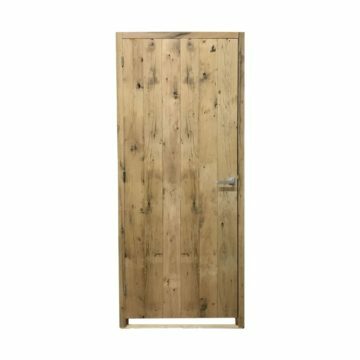 Metric dimensions approx: Doors height = 2550mm x width 1270mm x 27mm thickness. 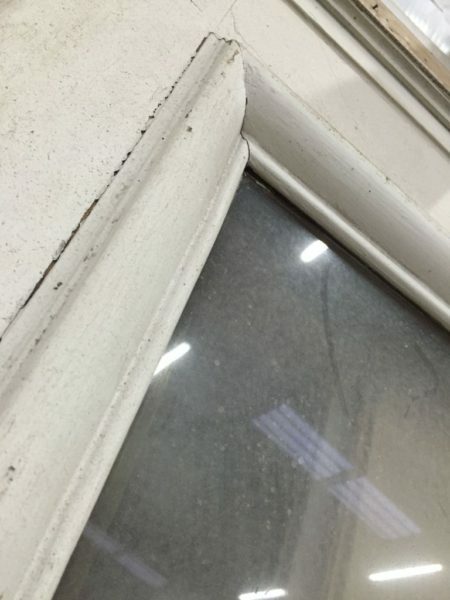 Glazed panels = 1200mm x 370mm. Frame dimensions overall = height 2630mm x width 1450mm. 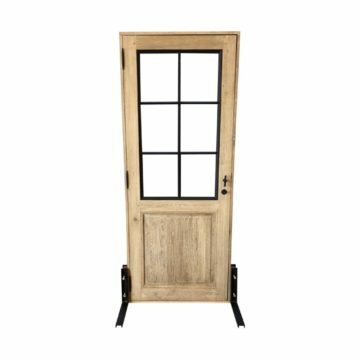 Imperial dimensions approx: Doors height = 100.4 inches x width 50 inches x 1.07 inch thickness. 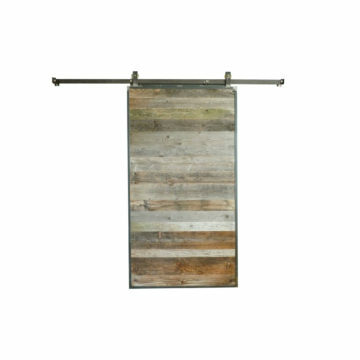 Glazed panels = 47.25 inches x 14.6 inches. 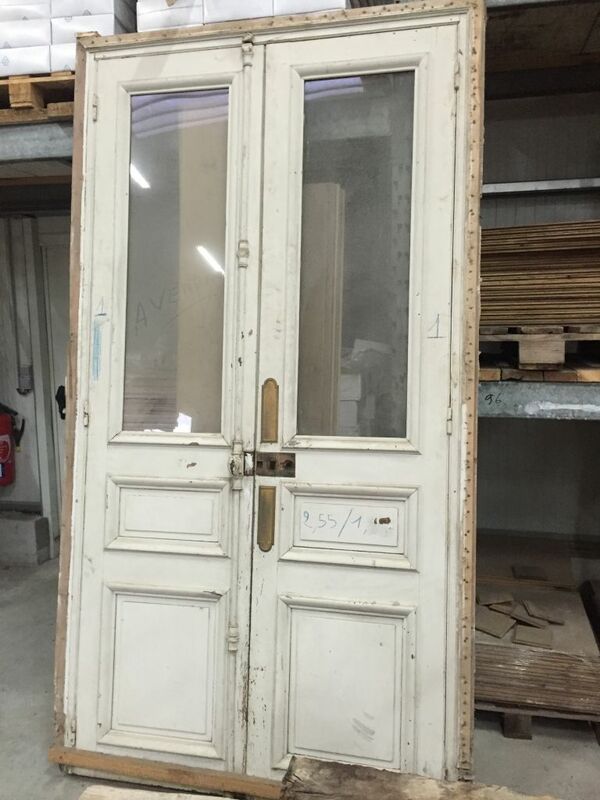 Frame dimensions overall = height 103.5 inches x width 57 inches.